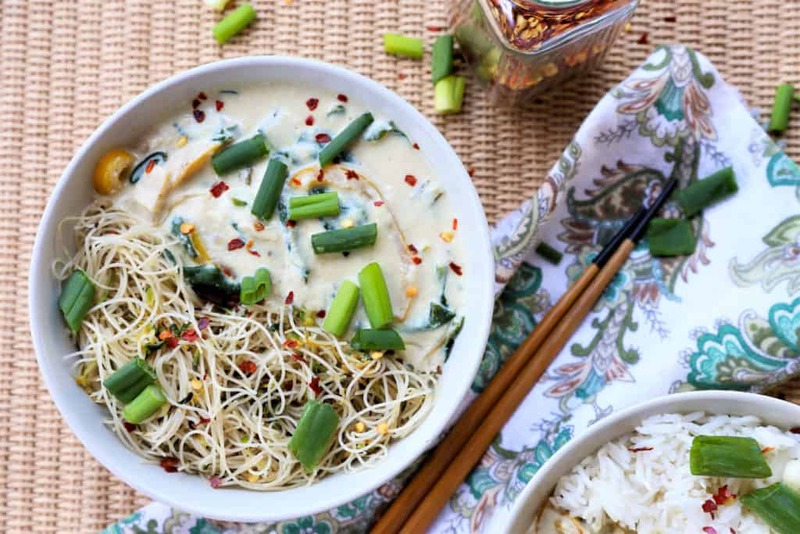 Yummy Spinach Tofu Green Curry. Vegan, gluten free, dairy free. 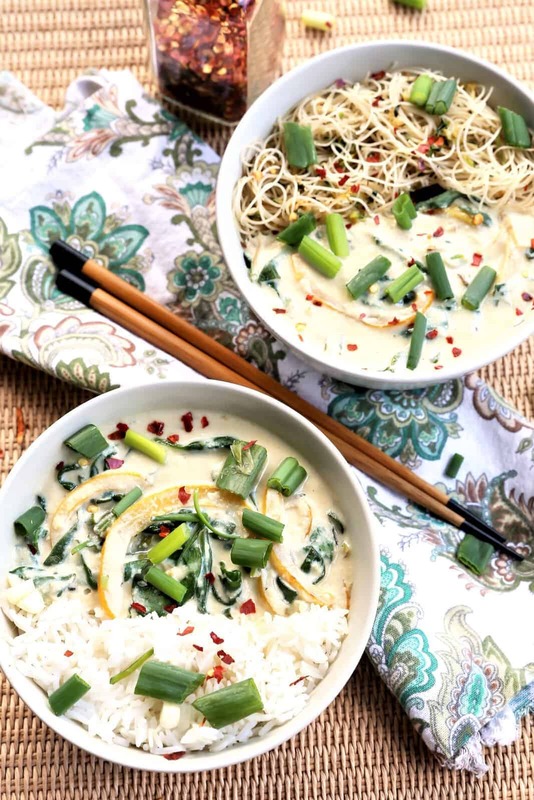 Spinach Tofu Green Curry. 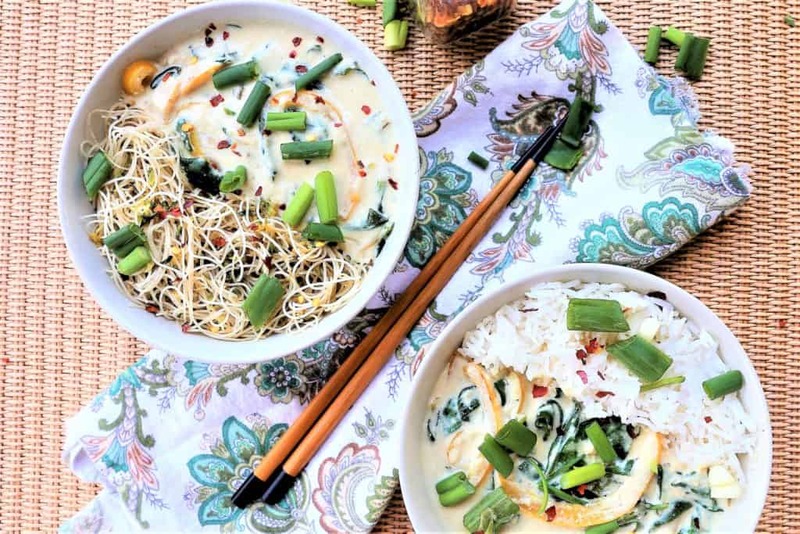 There is no doubt–once you taste this delicious combination of flavors, this dish will be one of your favorites, and you will want to make it again and again. The sauce has a base of tofu, and is enhanced with vegetables and spices, and a yummy coconut flavor. 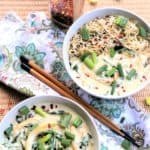 This dish is both sweet and spicy, and you can make it with either rice or noodles, or as I did, both! Packed with nutrients, this curry will be a crowd favorite. Ready in less than an hour, this bowl is vegan, gluten free and dairy free. 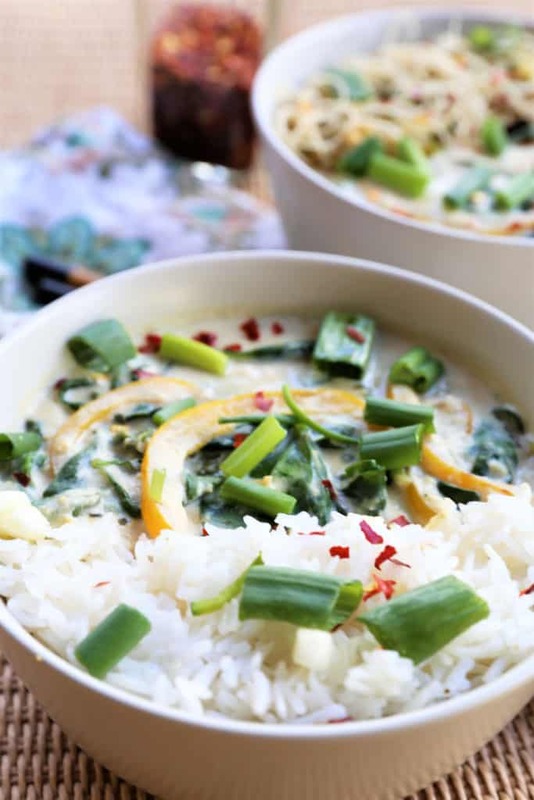 This sweet and spicy green curry is packed with nutrition and perfect with noodles or rice. Add tofu, coconut milk, maple syrup, green curry, lime juice and salt to blender and blend until smooth. Stirfry yellow/red pepper, spinach, green onions, ginger, garlic in coconut oil for 3 minutes. Sprinkle with red pepper flakes. Add tofu mixture and heat an additional 5 minutes on medium heat.